This purse is an ideal match for all summer outfits. 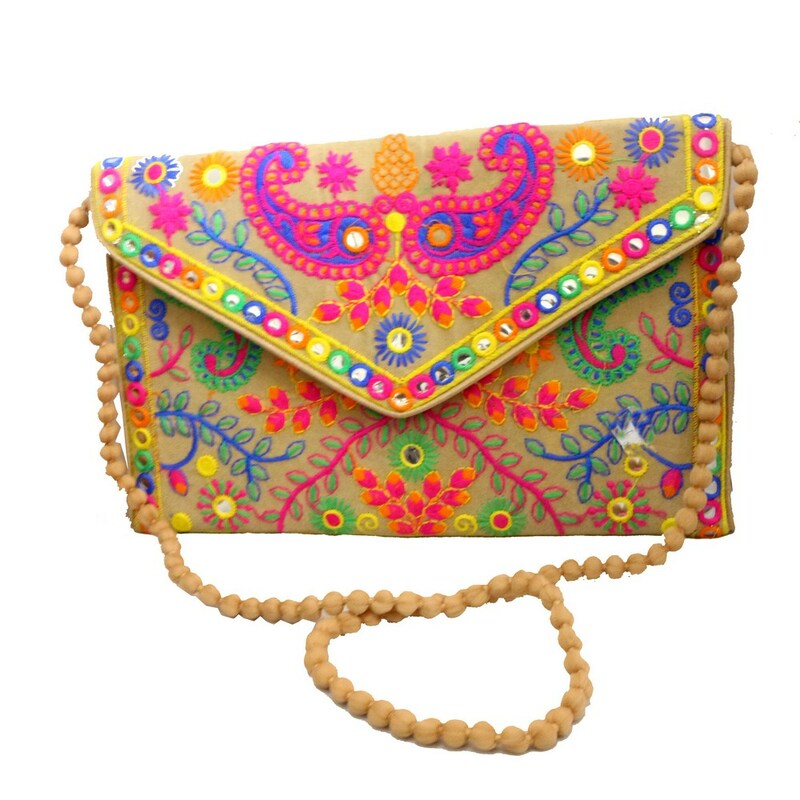 The very sober nature of the purse in light beige colour with detailed and colourful Read More..embroidery gives it an extraordinary finesse. It has double leaf cut embroidery all over and precise mirror work to complete the look. Show Less..